Many countries have their own masterpieces, treasures, the prides of the nation. Some dated back to the prehistoric era and truly possess sentimental as well as economical values that attracts tourists, while others are forgotten or even destroyed by ignorant rebels. 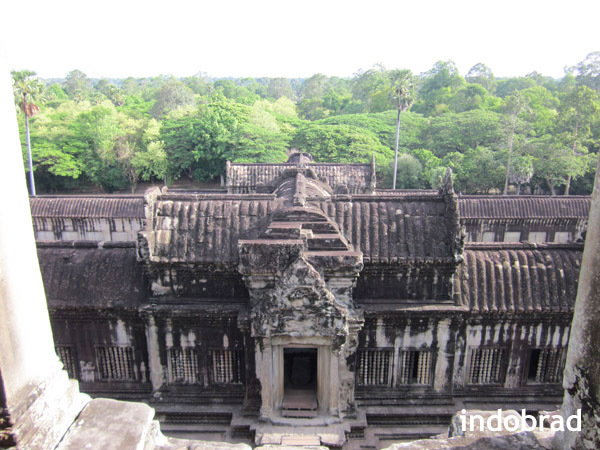 But Angkor Wat is the jewel of the ancient Khmer kingdom in today’s Cambodia. Firstly erected as a Hindu temple complex and then was transformed into one of the largest Buddhist temples in the world, this complex of 100-something structures is an architectural masterpiece of the era when most homes were built with rotten woods and roofed with grass & weed. 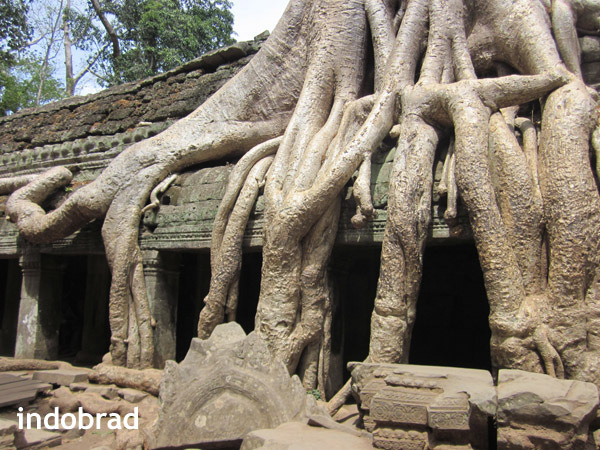 The Asians, including Cambodians, have an inherent sense of deity that they construct the first, and foremost, the best building towards their gods. 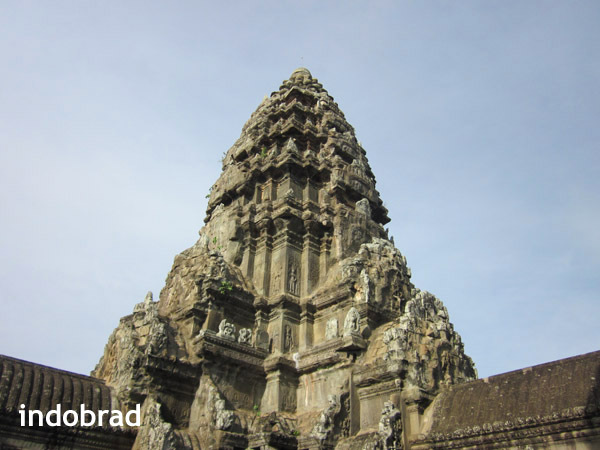 Angkor Wat, the central tower and the most sacred point of the entire city. View towards the northern terrain. 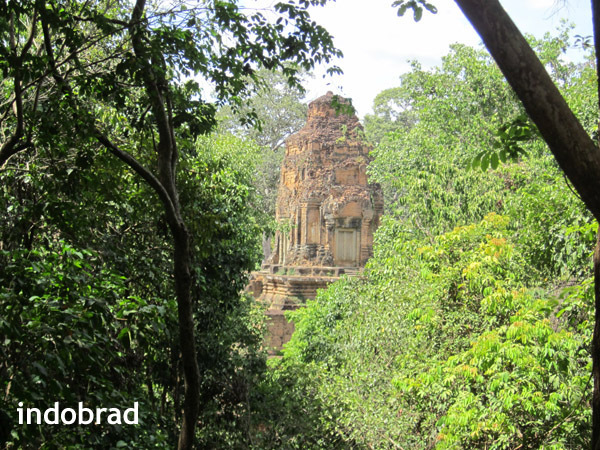 ‘To Phrom’, probably best known from Angelina Jolie’s scene in ‘Tomb Raider’. Unfortunately I forgot the name of this hidden beauty. Great minds think alike Brad 🙂 Quite an extraordinary masterpiece, we are lucky to have experienced it, don’t you think?! Good job! Thanks for stopping by my blog. Greeting from Jogya.